Standing near her will give you the buff Peixe na Rede, allowing you to fish up Encantamento Fragmentado. Once in a while you may also fish up a Ponta de Lança Espiródio which will summon a Espírito Espiródio. Kill the spirit and for a while your chance to catch Encantamento Fragmentado will be greatly increased for all nearby players, so doing this with a group is beneficial. She is back 7.3, and has brought the other 5 fishermen for Amigo de Pescador das Ilhas. Only one is up at a time. Each Encantamento Fragmentado is currently worth 50 reputation. If you are farming this faction you can track how many Encantamento Fragmentado you need to be "Best Friend" with the following macro this also takes 10% rep buff into account. 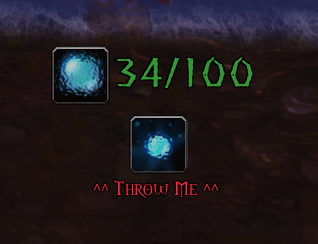 With 6 Fishing Masters of the Broken Isles I expect them to sell all 18 rare baits for Peixes maiores para fritar, the open water baits maybe put into Impus' store (Broken Shore). You get the buff Peixe na Rede at "her" pond, so maybe at the other fishers' locations too. Getting maximum reputation with all the Fisherfriends will award Amigo de Pescador das Ilhas and unlock a color variant of the fishing artifact weapon. Below is a list of all items they sell, and below that is a list of all Fisherfriends. All fishing locations are close to the Fisherfriend. You will have the Peixe na Rede buff when at the right spot. Based on my experience so far, each Fisherfriend is basically like Margoss, only they take about 2-3 hours in a raid to reach Best Friend and purchase all unique items from. Each turnin item gives 75 rep instead of 50, there are bosses to summon just like the elemental that will make every catch give you the turnin, while the buff is active you fish up 3-4 of the turnin instead of only 1-2, and each fisherfriend has fewer and cheaper items. You need to be close enough to the fisherfriend to have the Peixe na Rede buff to catch the turnin or boss summoner. The boss's health goes up the more people hit it, but it does still seem to be more efficient to have as many people fighting as possible. There are six fisherfriends, and they rotate daily. So far there doesn't seem to be a way to tell which one is up besides looking for yourself or checking custom groups. Each fisherfriend is associated with one fishing area (the five zones and the ocean) and sells the fish for their area (10 for 10), each special bait for their area (25 each), a fishing bobber toy (100, Best Friend), and one other item (generally 50, Good Friend). Reaching Best Friend with all six grants Amigo de Pescador das Ilhas, which gives Esmeralda Telúmina, unlocking new tints for Pescador Telúmino. Guardiã Raynae in Val'sharah (53.41, 72.86) at Lorlathil sells Receita: Banquete dos Peixes and Caixote de Flutuadores: Face da Floresta. Akule Chifre do Rio in Highmountain (32.62, 40.80) by Thunder Totem sells Totem da Traineira and Caixote de Flutuadores: Totem Flutuante. Corbyn in Stormheim (90.69, 10.87) at Shield's Rest sells Sinalizador de Corbyn and Caixote de Flutuadores: Elmo de Madeira Entalhado. Sha'leth in Suramar (50.71, 49.34) sells Carpa Manalisca (cost = 5 each) and Caixote de Flutuadores: Réplica de Gôndola. For Amigo de Pescador das Ilhas you need to obtain "Best Friend" level of Reputation with six fisherfriends. If you're human, which gives Racial - Humano, OR have any other 10% buff, such as IUPI! from the Darkmoon Fayre you get 82.5 rep each, so need only 510 No. With Racial - Humano, AND any other 10% buff, e.g. IUPI! you get 90 rep each so need only 467 No. With both Racial - Humano and IUPI! and in a large raid group, I reach Best Friend in just under one hour. You know you're in the right area because you'll get the buff Peixe na Rede. Hand in Miçanga Brilhosa to the NPC Corbyn in Trommheim for 75 / 82.5 / 90 rep with the faction Corbyn. Hand in Manjubinha Dourada to the NPC Sha'leth in Suramar for 75 / 82.5 / 90 rep with the faction Sha'leth. Hand in Algas Marinhas Profanadas to the NPC Diabrius in Costa Partida for 75 / 82.5 / 90 rep with the faction Diabrius. Hand in Encantamento Fragmentado to the NPC Ilyssia das Águas in Azsuna for 75 / 82.5 / 90 rep with the faction Ilyssia das Águas. Hand in Glóbulo Corrompido to the NPC Guardiã Raynae in Val'sharah for 75 / 82.5 / 90 rep with the faction Guardiã Raynae. Hand in Fragmento de Totem Ancestral to the NPC Akule Chifre do Rio in Alta Montanha for 75 / 82.5 / 90 rep with the faction Akule Chifre do Rio. Drag the macro icons to an action bar. The icons for the tool tips will be the default red question mark until you make your first catch. Then the icon will change to the inventory icon with the count. When you turn in Encantamento Fragmentados or summon the Espírito Espiródio using the Ponta de Lança Espiródio, the count will go to zero but the icon will remain. If you're solo fishing when Peixe na Rede is up, it's really useful to know whether you've caught a Ponta de Lança Espiródio because you can only have one in your inventory at a time. As soon as you catch a Encantamento Fragmentado, the icon (with count) will replace the default icon. If you turn in Encantamento Fragmentados, the icon will remain and the count will go to zero. Exchange Mana Afogado for Isca Arcanas. Keep Isca Arcana up to increase your chance of catching bait that attracts rare Azsuna fish. Guardiã ancestral do Lago Real em Azsuna.